Thank you for this. I relate to this so much. Of all the things, one of my biggest fears is telling people about my TBI due to what they will think. Matter of fact, I’m scared to write this and past the comment. No one understands what it’s like to experience and there isn’t a good roadmap for explaining it that gives people hope (at least one that is practical for real world). If you have a great family and support system that is extremely tight it might be different but if your family is like mine (they loved me and tried to help but they didn’t know what to expect. They didn’t know what to do and they didn’t know how to do it. It was tough on them.). Today, just like yesterday, I have a fear all of the time that I can’t explain or express. I pretend that I’m just a normal guy so no one will ask what happened or what’s wrong. Being “on stage” “acting the part of how you believe you should/need to/or are expected to” becomes the days work over and over again. At the end of the day, you realize you have done nothing but pretend and have lost yet another part of yourself. You lose the ability to see the here and now for the value they are of just being yourself today and realizing that your good enough for today and you are good enough to be yourself today. You lose the ability to be your current self in fear, not just of what you see in the mirror, not just what you fear is gone, but in the fear of How To Announce Who You Are to others. If only living out in the real world were as easy as it was to comment on your post. Thanks again for the attention to this matter. People like us and and people need to understand what we have and who we are. Thanks for having the courage to write. It is so true that having people around you who can support you is great, but not everyone has that. I can related to what you’ve said about pretending. Many of my days feel like I’m “on stage” and fulfilling a role that others expect of me. But then I look around, and everybody else seems to be doing it, too. I’m not sure they’re covering up the kinds of difficulties we have, but even so, there’s a lot of pretending happening. Finding yourself — creating yourself anew — is a gradual process after TBI. It doesn’t happen overnight. Some people seem to bounce right back (and then do Ted Talks about how quickly they recovered and how great they’re doing now). But there are so many of us who are suffering in silence, watching the weeks and months and years slip by. I honestly can’t say that I felt like a real version of myself until nearly 10 years after my accident. And then the effect was fleeting. It didn’t last. But I got an inkling… a glimpse… that motivated me to keep working. In the end, for me anyway, the important thing is to find my “flow” again. Just to feel like things are flowing seamlessly, and I don’t have to stop and think about every single move I make, ever single decision, every single phase of things as simple as getting up and brushing my teeth. Some days, I have to focus intently on each different phase — get out of bed, change into my workout clothes, walk to the bathroom, get my toothbrush, put some toothpaste on it, run the water… and so on. It’s not every day, and it’s not always that extreme, but I can’t take for granted anymore that I’m going to be able to smoothly handle even the most “basic” things. And yet, from a distance, everything looks fine. But I can’t ask for help. I can’t even mention that I might need help. Because the people around me *require* that I am highly functional, and if I’m not, they get anxious and fearful, and they even start to tease me, which bothers me more than it probably should. Anyway, thanks for writing, and thanks for the reblog. And have a great day. Thanks for sharing, but cannabis cannot — and will not — keep the brain from slamming against the sharp and bony inside of the skull, shearing the connections through sudden change of direction, or being physically damaged by impact. It may disguise the symptoms afterwards or have some other effect, but — I repeat — it cannot prevent structural damage to the brain. That’s important to keep in mind. 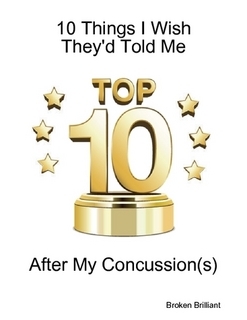 No kiddin It doesn’t stop the brain from slamming against the skull I never said that it did… but after the brain slams into the skull the blood vessels slightly break and it’s already being proven it helps protect and fight against concussions… go do some research on it then get back with me….